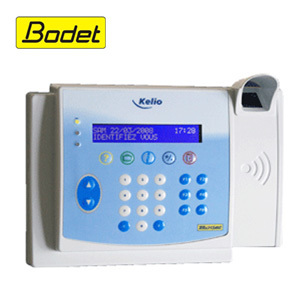 Kelio Visio - Baztech Incorporated (Pvt) Ltd.
Kelio Visio is a biometric clocking device provide a real time recording of an impression of a fingerprint pattern.The user puts his finger on the terminal. A sensor captures the fingerprint and compares it against a stored profile. This information is sent to the time and attendance software immediately. Biometric clocking is the most reliable method to collect employees working hours as it rules out the possibility buddy punching. Removing the need and expense of issuing clocking in cards or fobs to be used with your time and attendance management system. Removing the possibility of employees clocking in for their colleagues.